Our fall season would not be possible without the help of many hired staff members, many of which come back year after year! We need lots of friendly, energetic people to help with the activities and events at Pinehaven Farm! Many of our employees are high school and college students, stay-at-home moms, teachers, retirees, and professionals from all walks of life. Not only does a seasonal job at Pinehaven Farm provide a little extra cash, it is also a fun and rewarding way to help others make wonderful fall memories. All employees at Pinehaven Farm must maintain a clean and professional appearance and be ready to have some fun! When attending a hiring event, please feel free to dress causal and bring a resume if you have one. You must bring your photo ID and your social security number. You must be at least 15 years of age to apply for a job at the farm. Tractor Drivers (must be 25 years or older):Our tractor drivers provide excellent trolley ride experiences for our guests. They must have experience driving tractors and they must be 25 or older. Food Service: We have a couple different options in this category. Employees could be working in our Fry Shack making or serving fries or making and selling our kettle corn. People in these positions may be asked to run a cash register and count money. Attraction Attendants: People working in these positions must be comfortable interacting with our guests. This position includes monitoring activities such as our gem mining, slides, corn cannons, jumping pillow, etc. You must be able to confidently give instructions and keep an eye out for safety. General Laborers: These employees are well rounded individuals that can do many different tasks around the farm. School Tour Guides: People working with our school tours should enjoy working with kids. They should be patient, flexible, and able to teach information at an age appropriate level. Parking Attendants: These are the first employees our guests see when they enter the farm. We need happy, energetic, people with safety in mind to help our guest park their car and then enter the farm. 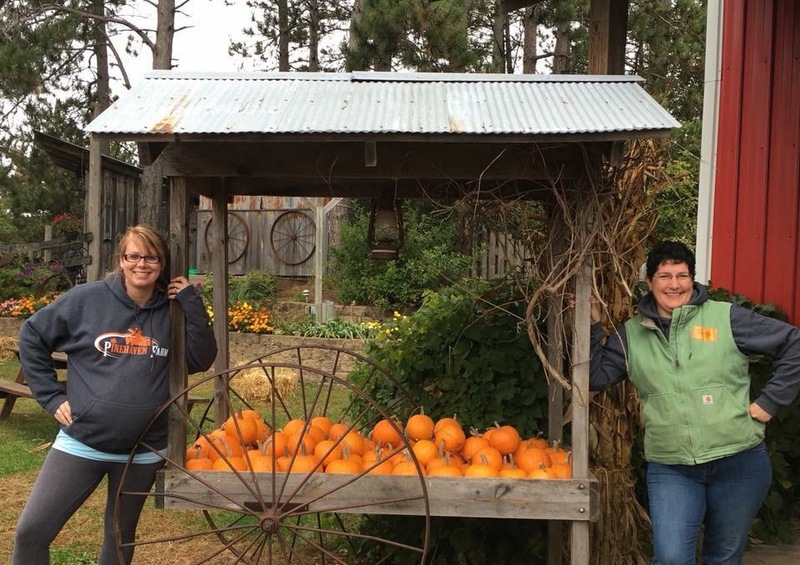 Pumpkin Pickers: These employees pick, clean, and stock our pumpkins, gourds, Indian corn, and other things in our retail area. EMT Staff: We need state or nationally certified EMT/first responders who can attend to any injuries big or small on the farm. Most common injury seen is a bee sting. Animal Attendant: These employees will be in charge of taking care of the animals before guests arrive. Tasks can include cleaning pens, giving fresh water, giving grain where needed, making sure there is not any garbage in the pens, etc. All positions are seasonal and paid $9-$15/hr depending on experience.